Former American record-holder Dagny Knutson has filed a lawsuit against Richard Foster, her former lawyer who was also formerly president of USA Water Polo. Knutson filed the suit in California earlier this week, the LA Register reports. Knutson was an exciting North Dakota youngster who looked like the future of USA Swimming on the women’s side back in the late 2000s. She won a gold medal at the 2011 World Championships as a member of the 4×200 free relay along with Katie Hoff, Missy Franklin and Allison Schmitt. Knutson’s career was cut short after a lengthy battle with an eating disorder (Knutson talks about that in this 2012 interview) along with several major changes in her training situation that included forgoing a scholarship to turn pro early. Knutson first planned to leave Minot, ND to head to Auburn for a collegiate career. But when coach Paul Yetter left that school, Knutson wound up rescinding her commitment and turning pro. 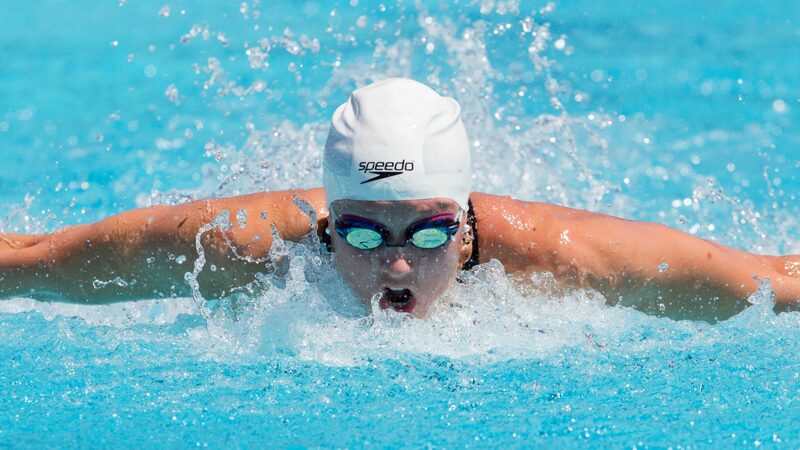 She moved out to California with USA Swimming’s Center of Excellence Program in Fullerton, a professional group that had a strong, but very brief, run under the Fullerton Aquatics Sports Team (FAST) banner. According to the LA Register, Knutson was convinced to move to Fullerton by then-USA Swimming national team director Mark Schubert, with USA Swimming agreeing to pay for Knutson’s rent, utilities and travel costs for meets. But just a few months after Knutson arrived, the professional group at FAST fell apart under a storm of rumors and accusations, Schubert was replaced as national team director, and the deal between Knutson and USA Swimming was never fulfilled. Knutson’s current lawsuit comes from this period. Foster came in to represent Knutson legally as she fought to get USA Swimming to live up to the agreement she’d signed with Schubert. Knutson now alleges that Foster didn’t admit to her his own conflict of interest in the matter – Foster, the former USA Water Polo president, had many ties both personal and professional with USA Swimming. He’d also represented Schubert in the past. 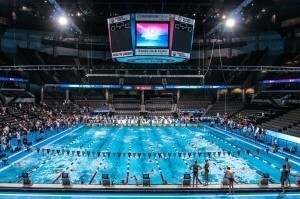 Foster claims that he did disclose his connections to USA Swimming, telling Knutson “Look, I have a good relationship with USA Swimming. I think I can help you. If this gets into litigation you have to find somebody else because I’ve represented Mark in the past,” (quote as reported in the LA Register). Ultimately, Foster was able to get Schubert to confirm that a deal was made between he and Knutson. 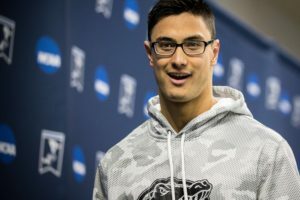 But with a new national team director in charge, Foster negotiated a new deal for Knutson, a deal the swimmer now says is much worse than the original agreement. 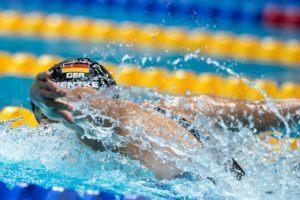 The new deal was tied heavily to her world rank, the LA Register reports, and the eating disorder plus a bout with depression had a major effect on her swimming over the next few years, resulting in USA Swimming terminating the new deal. Knutson has popped up here and there since the whole ordeal. Last December, we reported that Grand Canyon University was offering Knutson a scholarship to finish her schooling there while helping the team as a student manager. Because she went pro, Knutson is no longer eligible to compete in the NCAA. What are you trying to accomplish by berating a girl with an known eating disorder? Mike – You are wrong. She was a kid who got chewed up and spit out by a flawed process and she should be helped – she did her bit for king and country. USA Swimming absolutely failed her. Read the interview and troll somewhere else. If i was Dagny i guess i would want to keep a low profile on my legal issues and keep them out of national swim news. You guys should pull this story and let it be. Dagny i hope you are doing great. You are rad. Reef/Hank/Henry/Roman – While we do wish Ms. Knutson the best, someone’s desire to not have their lawsuit reported on (which is your assertion, and if it were true, I doubt she would have given an interview with the LA Register) is not reason enough to pull a story. The LA Register and the Orange County Register are owned by the same company, Freedom Communications. The story appeared on both outlets, but was written by OCR staff reporter Scott Reid, and initially released on the OCR site, then the LAR site. Should have been placed under Braden’s other comment regarding the papers… sorry.